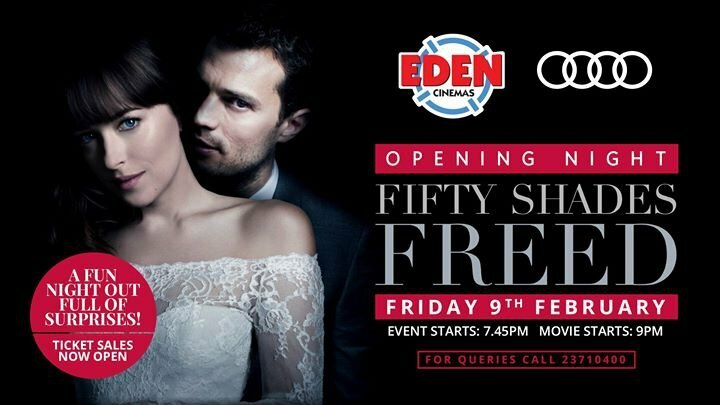 Fifty Shades Freed, is coming to the big screen and we’re working on the steamiest event for the opening night! In true Fifty Shades style, it will be a night full of fun surprises including a welcome drink, gifts, entertainment and more! The event starts at 7.45pm including welcome drink, gifts, live entertainment and more surprises. Movie starts at 9pm. More details to be released shortly, so watch this space!